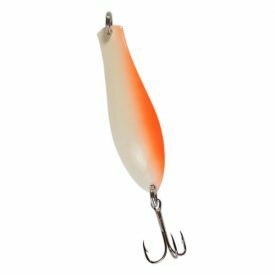 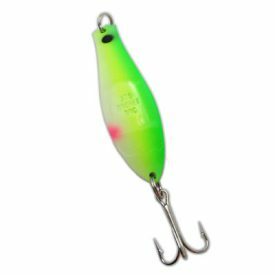 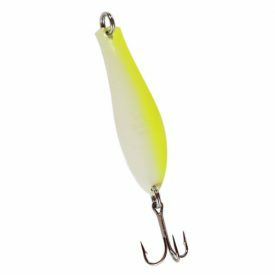 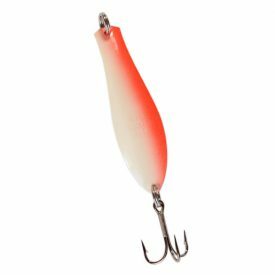 The Rocket Doc Spoon is a heavy weight spoon designed for long distance casting and deep trolling. 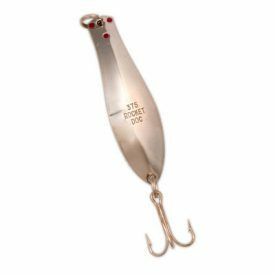 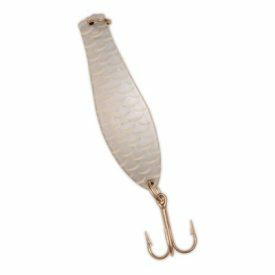 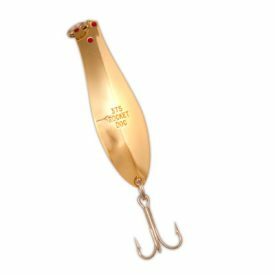 It’s stamped from .080 premium brass and comes equipped with extra strong split rings and a 2x strong treble hook. 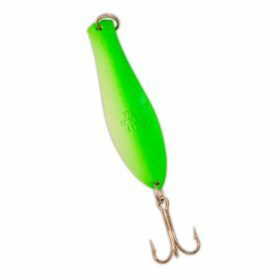 The Rocket Doc Spoon, while primarily designed for long distance casting and deep trolling, is a great spoon for casting into the wind. 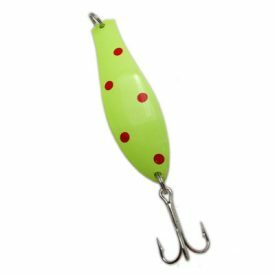 It will troll deeper than almost any other spoon of comparable size. 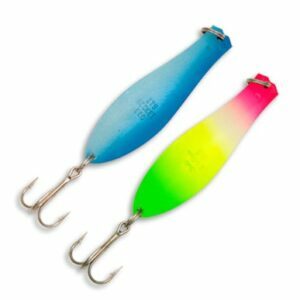 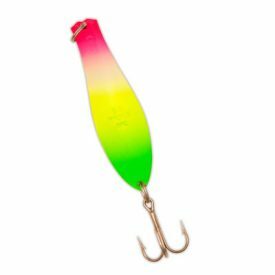 Leave the hook on the wide end for a fast narrow wiggle when trolling or retrieving, or put the hook onto the narrow end for a wide sweeping action. 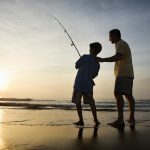 Cast farther and troll deeper with Rocket Docs!